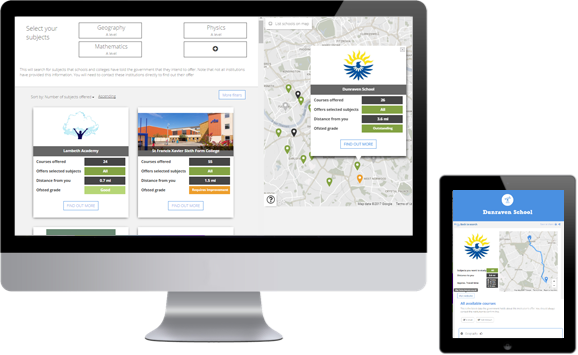 It is simple to use and only requires a postcode to find nearby schools and colleges. A young person can then refine their results by selecting courses or filter providers to match their priorities. It is the only tool that allows a young person to search on their complete combination of subjects together with the results shown visually on a map. Skills Route FIND can help your school provide impartial advice and guidance to all your students regardless of ambition as well as help teachers learn about alternative local options. It is free to use - take a look here. For more information on all the Skills Route modules see our website here. We would love to hear your feedback on Skills Route FIND, or any of the Skills Route modules. Please share your feedback with us here. Or feel free to drop us an email on info@skillsroute.com. Want to keep up to date with Skills Route? Follow us on Twitter .